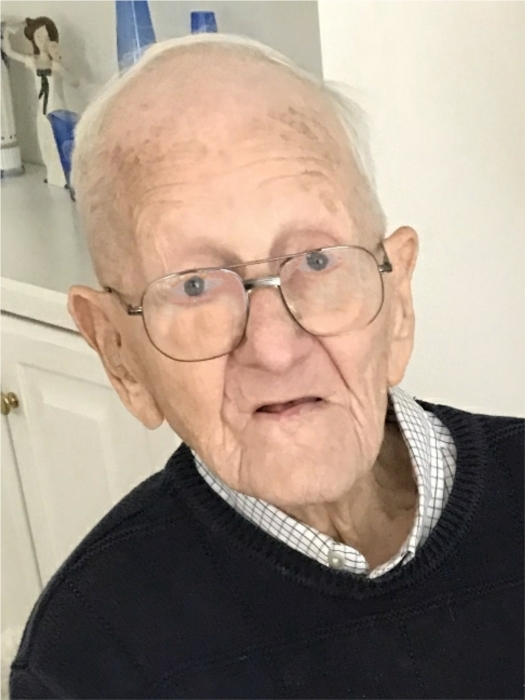 Robert C. Schull, age 96, resident of Shelby died Monday morning, January 28, 2019. Born October 9, 1922 in Shelby to Clayton W. and Naomi (Pfhaler) Schull he had been a lifelong Shelby resident. A 1940 graduate of Shelby High School he then served in the 11th Air Borne Division during WWII with the U.S. Army in the Pacific. He had been employed with the Shelby Sales Book for over 40 years, working side by side with his brother Jack. He was a member of the American Legion Post #326 and a member and past board member of the Shelby Country Club. Robert was very passionate about golf and he looked forward to his yearly golf trips to Myrtle Beach with his Shelby golf buddies. He also enjoyed playing cards. Above all, Robert cherished the time spent with his family and loved ones. He is survived by his wife Donna J. Schull whom he married May 22, 1948; his children Nancy (Tom) Depler of Shelby, Kristina (Jim) Purdy of Rocky River, OH, Mignon (Ralph) Rosinsky of Shelby and Robert F. (Missy) Schull of Rockwall Texas; his grandchildren Sarah (Kevin) Brokaw of Traverse City, MI, Kyle (Amy) Depler of West Chester, OH, Anne (Drew) Ashley of Bay Village, OH, Robbie Schull of Rockwall, TX., Justin Gregg and Ashley Gregg of Texas; six great grandsons Jackson and Bennett Depler, Matthew, Bobby and George Ashley and Anderson Brokaw, nieces, nephews and other relatives. In addition to his parents he was preceded in death by his brother Jack Schull. Friends may call at the Barkdull Funeral Home & Crematory in Shelby Friday, February 22, 2019 from 12:00 to 1:00 PM. Memorial funeral services will be held immediately following at 1:00 PM. A private family interment will be held in Oakland Cemetery.